Businesses are investing in self-service. From fast food app orders to complete "mobile" shopping experiences, retailers are relying heavily on a growing "do-it-yourself" culture. But FIs were there first and it just may be time for them to start growing the self-service foundations they have already built. Find out more in this FREE white paper from FCTI! The Times Call for "DIY"
How are banks and credit unions being affected? Learn about the growing trends in self-service. Download the FREE white paper now! 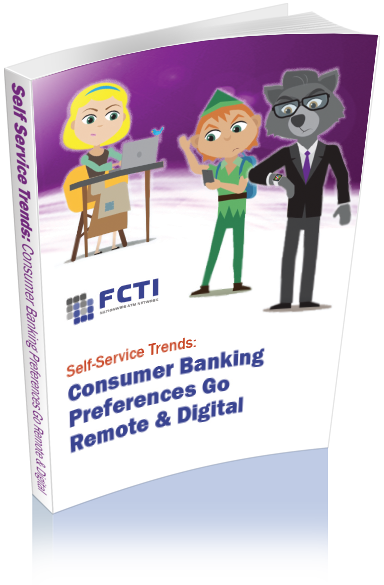 Download "Self-Service Trends: Consumer Banking Preferences Go Remote and Digital" White Paper!